We do not know broken something what shape is before break. 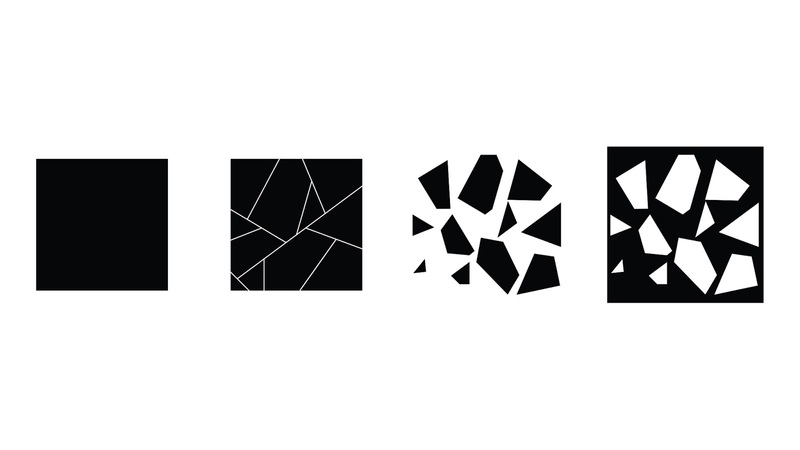 But, we can guess the shape before break through the fragment. And the breaking status is result, the original status(before explosion) is reason. I want to express both time and status are existed in same time, place. The accident can be explosion or collision or etc. The shapes have anxiety that the shape will be changed (explosion or collision or etc) in whenever future. The anxiety will be expressed to void with in solid origianl shape in model.